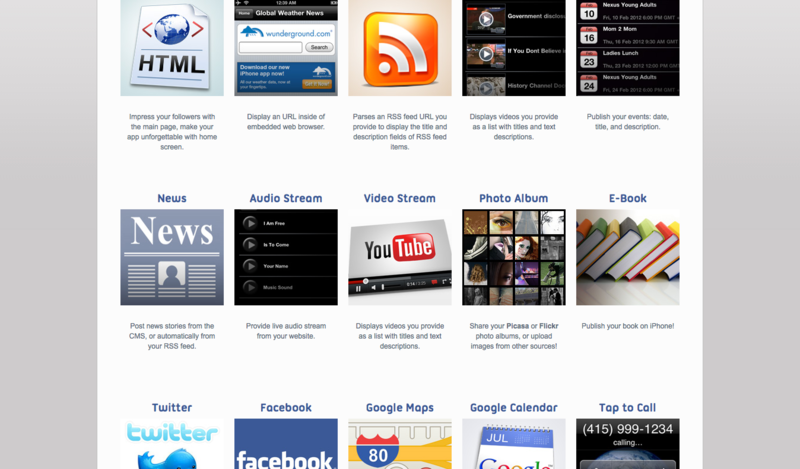 Feature Page is Updated, over 20 new app modules!
. the updated Feature Page can be seen at this URL: http://ibuildapp.com/features/ .